The Sky-Watcher SKYMAX Maksutov-Cassegrains are the ultimate take-anywhere telescopes. They are also ideal if working space is limited. Despite their small dimensions they pack a powerful punch. Their High-Resolution, diffraction limited optical systems are multi-coated to maximize contrast and image sharpness. The SKYMAX-90 Tabletop 90mm (3.5") f/13.8 Maksutov-Cassegrain Telescope is mounted on a compact equitorial mount and comes with a useful carrying bag. Ideal for taking on holiday, or where space is a premium. 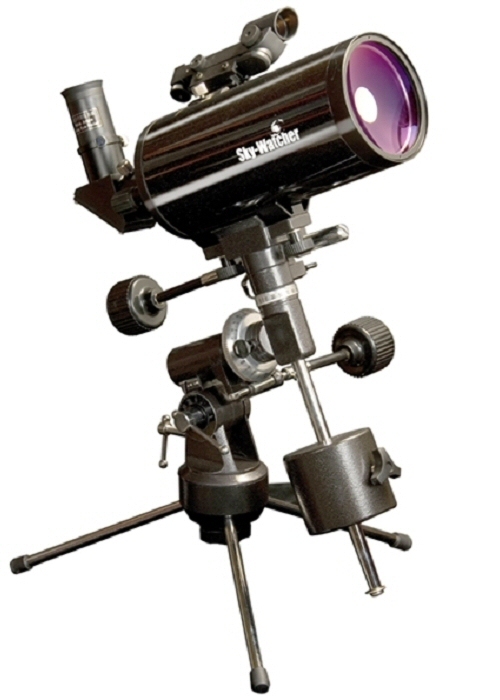 Our SKYMAX 90 is manufactured by Sky-Watcher, one of the most respected telescope manufacturers - products you can trust, representing great value for money.